Two similar software for clearing history, traces, temporary files from PC. These products have Win32 control based GUI. 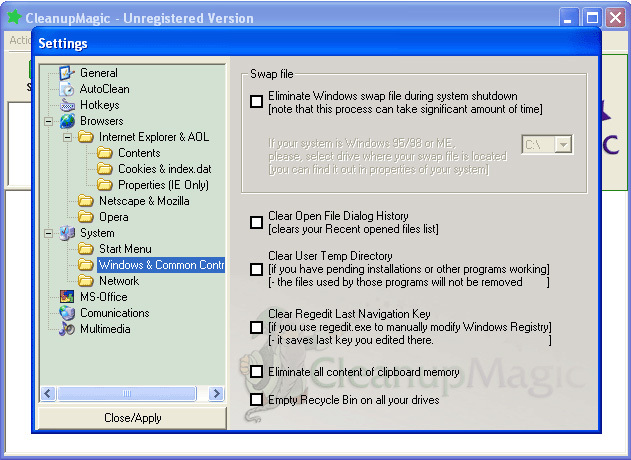 You can eliminate the traces of your work in Internet Explorer (IE), AOL, Netscape Navigator, Mozilla and Opera browsers, Start Menu, Windows and Common Controls and others. It offers a variety of cleaning operations that are set up and tuned from the Settings dialog box.